My local skeptic group (Air Capital Skeptics) is hosting the FREE Skeptics of Oz conference in Wichita, KS again this year on March 15-17. The event his held at the Wichita State University CAC theater. We will be bringing in a number of speakers to talk on the subjects of science, skepticism, and atheism. Additionally, we will be taking a group trip up to the Kansas Cosmosphere on the evening of March 15 before the conference begins. I know most of you guys probably can't make it to the event, but if you'd like to help us out with a small donation we would really appreciate it. The conference is free to attend and is funded entirely by sponsoring organizations (JREF, SSA, CFI, etc) and individual donors. 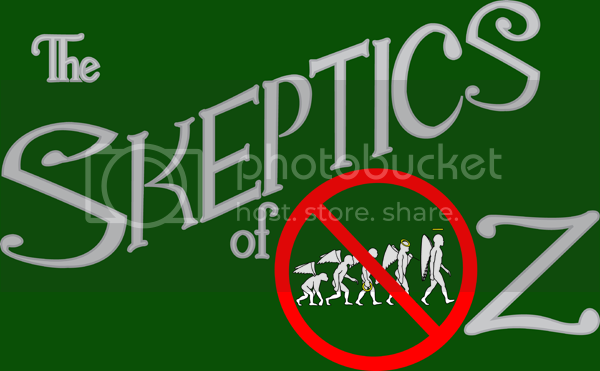 Skeptics of Oz is coming up soon! We'll be hosting the event at Wichita State University on Saturday, October 18. This year's conference features a live demonstration provided by Exploration Place as well as speakers including Seth Andrews from The Thinking Atheist podcast, Jim Underdow director of Center for Inquiry - West, Sarah Morehead from Recovering from Religion, Christine Steward the Sedgwick County Health Department's epidemiologist, and more! Seth is cool. He did a live podcast from Schafly's Brewery here in St. Loser. Just a reminder to anybody nearby that Skeptics of Oz will be this weekend in Wichita, KS.